So, you may remember a post I wrote a while back about my plan to start running. I made a valiant (read: pathetic) attempt for a couple of weeks. Both of which were the first week of the Couch-to-5K program. And I may have felt like I was dying most of the time. I really was committed, mostly. But the humidity and the allergens and finals got the better of me and I stopped running with the intentions of starting again in the summer. For a lot of reasons, I felt pretty certain that barefoot running was the path for me. 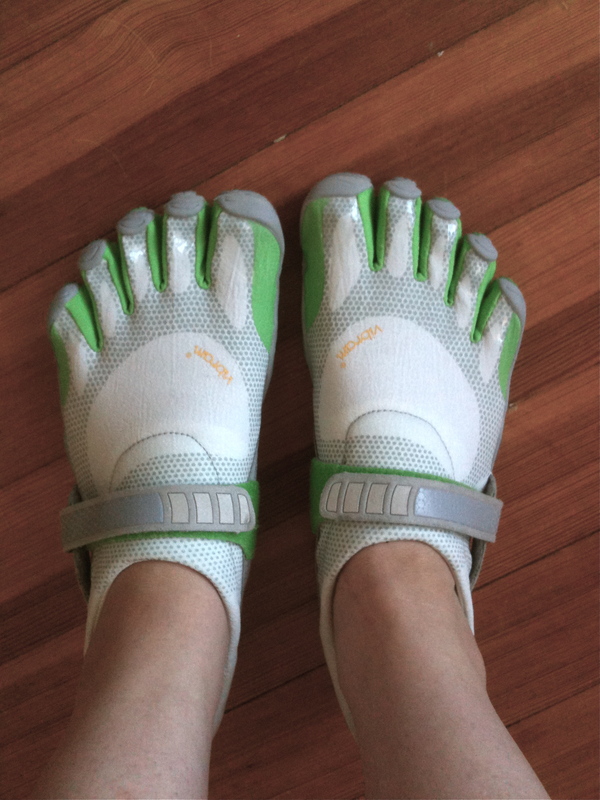 So I got this pair of Vibram Five Fingers, and let me tell you. Do you remember the ads for PF Fliers? The ones that told kids in the 60s that PF Fliers would make them run faster and jump higher? It actually kind of feels that way in these shoes. I can certainly run better in them (we won’t talk about fast and me and running in the same sentence). Everything about running feels better and easier in these shoes. So I’m making a second attempt at running. I only spent one week on Week One this time around and am feeling pretty good about Week Two, which I started today. I’m liking it, especially now that I have the right shoes. And Spur is liking it too. By the way, if you know anyone who is looking for a barely used pair of normal running shoes, let me know.